Cathy and Andy got married at Deer Park Hall in Worcestershire. The whole day was amazing, we were fortunate enough to have the perfect weather all day and the couple were an absolute joy to work with. They both looked so happy throughout their wedding day, and you just couldn't keep them from smiling. 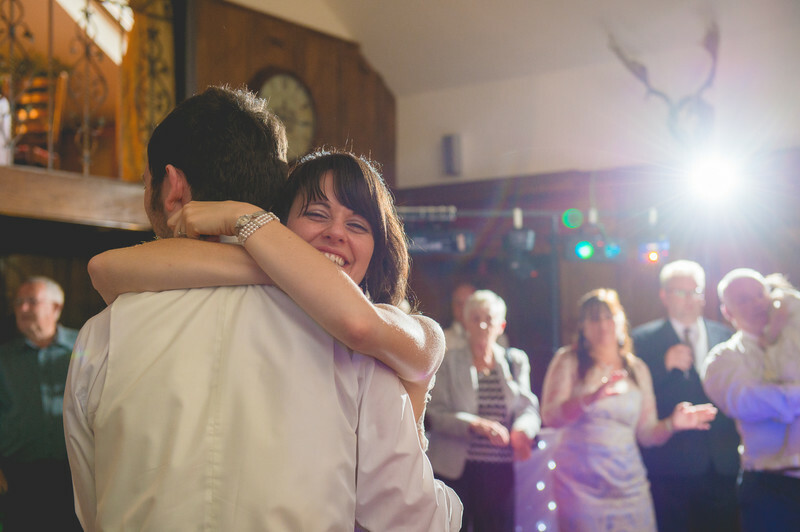 Deer Park Hall has a wonderful space for wedding receptions, with the Bredon room for the wedding breakfast and a wood panelled room for the first dance. The Bredon room itself is stunning, with two fully glazed walls, it offers unparalleled views over Eckington, Worcestershire and the Malvern Hills some 20km away. The wood panelled room is used for both wedding ceremonies as well as evening receptions, and is the space where the bands and discos perform of an evening. 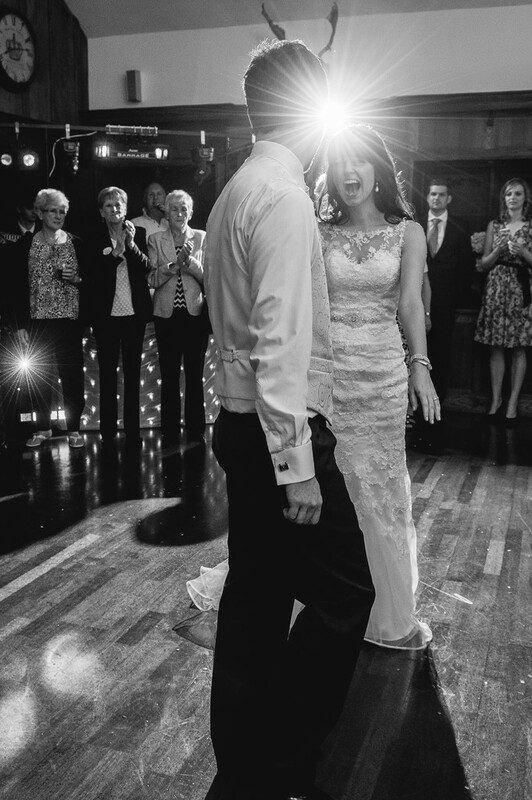 To create a more dramatic first dance photo, I had placed several off-camera flashes around the room, which were triggered with a radio remote attached to my camera. I made sure to place myself inline with the bride and groom and at least one of the flashes - the flash going off creates a wonderful star shaped light in the background of the photos and gives the image a real flare. I was really lucky in the black and white image above, as some of the disco lights were pointing directly into my camera lens at the same time the photo was taken. I love the expression of absolute happiness on the face of the bride in this photo. It's wonderful how many factors came together at the same time to make this image as great as it is! Lee Webb is a Deer Park Hall recommended wedding photographer.